you will fall into confusion of mind. there will be no groping in the dark. Tell me, which is advisable, letting go or holding fast? you are a ghost clinging to weeds and bushes. you are still thousands of miles from your homeland. Do you understand? If not, just study the present koan. See the following. The last word ultimately reaches the impenetrable barrier. Above, Yantou, being confident, did not approve his closest teacher, and below, did not concede anything to his Dharma brother Xuefeng. Is he trying to create an echelon, or is there some other vital function? When Xuefeng was living in a hermitage, two monks came to pay their respects. Xuefeng hung his head and retired into his hermitage. Later, the monk came to Yantou. The monk said, “From Reinan." The monk related what had happened. At the end of the summer practice period the monk came back to this conversation and asked him about its meaning. Or "South of the Range (Cleary). Sato's note: "A region in the south, where Xuefeng was living at that time." Or "no one in the whole world could have pretended to outdo him" (Sekida); "no one in the world cold affect old Xuefeng" (Cleary); "no one under heaven could do anything with him" (Wick). Or "We have had a hard time struggling with this topic" (Sekida); "I didn't dare be casual" (Cleary); "It is not an easy thing to ask" (Wick). What for? Their crimes are listed on the same indictment. Ghost eyes. A flute with no holes. He raises his head, wearing horms. A mud ball. A felt-pounding board. The arrow points meet. There are thorns in the soft mud. Xuefeng is like a dragon without feet, like a snake with horns. This is the hardest of all to handle. He had to ask before he could understand. Only one on the same path would know. It takes an adept to be able to be this way. This monk suffers defeat again and again. If Yantou wasn't a fellow student with Xuefeng he probably would have let him go. What news does he bring? He must convey the news. Did he see Xuefeng? He already exposed him a while ago. He mustn't say he didn't go there. A truthful man is hard to find. He breaks it in two. So he goes on this way. Again and again he suffers defeat. He should have hit the monk in the mouth, but instead he's lost his nostrils. Again he suffers defeat. But tell me, what is he? Vast swelling billows of white foamy waves flooding the skies. A leper drags along his companions. Not necessarily. Even Mt. Sumeru would be shattered to bits. But say, where is his trap? Already this monk is not alert. when the real thief has already been gone for quite a while, he draws his bow. He deserves to have his meditation seat overturned. He's gone by. This staff was originally for the monk to be beaten with. Yantou pierced his nostrils. An imprisoned man increases in wisdom. It's already a double case. He fills the heavens and covers the earth. Though he utterly swindles ordinary people, I don't believe him. He almost couldn't complain. This is still a position of throwing the body; what about the position of hiding the body? After all he actually doesn't know. Better not say he had no words. Transmitting a message about what's going on. If you don't drill, no hole. Here he is north of the range. A familiar place is hard to forget. Can't avoid it any more. He doesn't stop until it's vinegar. When even a single letter enters the gate of the public domain, eight oxen cannot pull it out. After all, better lower your head and leave right away. If so, you never went to Xuefeng. And now have you said it yet? Why not say "I am none other than old Xuefeng?" People sober up from good wine slowly. He sure is used to the monasteries. Those who seek to divide are the first to reach an impasse. He sells it as he steams it hot. Dying in different ways -- beyond telling! Not dying of the same lineage, they're totally separate. Buddha and Dharma only nod to themselves. Even Buddha and Bodhidharma have yet to discern. Late at night, seeing the snow on the thousand peaks. And view the snow on the thousand crags together deep in the night. Cutting, carving, polishing, grinding; transforming and veiling. Changing appearances, with mixed dialect. Kafi pond's stick transformed to a dragon. Toka's shuttle hung on the wall. The shuttle hibernating in the Tao house. Dying of the same lineage, there is no multitude. The last word is just this. The last word -- just this is it. A wind boat, having loaded the moon, bobs on autumn waters. The wind boat, ferrying the moon, floats on the autumn waters. Though Xuefeng had traveled all over through the various localities, at last it was at Tortoise Mountain because Yantou spurred him on that he finally attained annihilation of doubt and great penetration. Later, due to a purge, Yantou became a ferryman by the shores of Lake O Chu (in Hupeh). On each shore hung a board: when someone wanted to cross, he would knock on the board. Yantou would call out, "Which side are you crossing to?" Then he would wave his oar and come out from among the reeds. After his enlightenment with Yantou, Xuefeng returned to Ling Nan (Reinan) and lived in a hut. 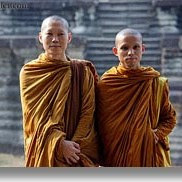 These monks were people who had studied for a long time. This is the frequently called "wordless understanding," hence, these monks couldn't easily find him. Some say that, having been questioned by these monks, Xuefeng was in fact speechless, and so he returned to the hut. How far they are from knowing that there is something deadly poisonous in Xuefeng's intention. Though Xuefeng gained the advantage, nevertheless while he hid his body, he revealed his shadow. This question was not posed to no purpose. But the monk did not understand. This monk was far from knowing that Yantou had put on straw sandals and had already walked around inside his belly several times. Yantou supports the strong but doesn't help the weak. As before the monk was flooded with darkness and didn't distinguish initiate from naive. Harboring a bellyful of doubt, he really thought that Xuefeng did not understand. This old fellow was crafty. If you are unable to penetrate, study Yantou saying this. Spontaneously, in just this one sentence, he had a way to express himself. Yantou indeed did not spare his eyebrows! In the end how will all of you people understand? Some say that Yantou excelled Xuefeng; they have misunderstood. Yantou always used this ability; he taught his community saying, "Clear-eyed folks have no cliches to nest in. Spurning things is considered superior, pursuing things is considered inferior. As for this last word, even if you've personally seen the Patriarchs, you still wouldn't be able to understand it rationally." Yantou was extraordinary by nature; putting down and upholding Deshan's way, he went freely under heaven, with no on daring to face him head-on. It's because his insight was clear and comprehensive and his development was complete that he could be like this. He still has doubts because his eyes were dull and he didn't know where his head was. He misses what is right in front of him. Though one reality has no differences, the views of the three men differed. Even the great Xuefeng and Yantou have been exposed by this monk. Here you can see Xuefeng's visage; he seems in rather good spirits, doesn't he, in spite of the fact that a tiger may show up. "What is it?" is like a gun fired in front of a deaf man. Anyway, it's outstanding. The monk just spoke out of stupefaction; there's nothing profound in it, he's just astonished. If you want to understand this koan, first look into this going back inside the hut. Did you see the real Xuefeng? Unfortunately I didn't get a chance to tell Xuefeng the last word. When it comes to Xuefeng's great exercise of potential, the likes of Yantou can hardly match it, he implies. This is Yantou's special chest pain, a serious matter in Zen. The Sutra of the Seven Wise Women says, "My disciples who are great arhats do not understand this principle; only great bodhisattvas can understand it." While this device is communicated from Zen master to Zen master, from Buddha to Buddha, Yantou is the first to name it the last word. This is the sinews and bones of Buddhism. Is this holding still or letting go? If you are not such a person, you will find it hard to distinguish. Was this the same or different? It resembles, but is not the same. When Xuefeng hung his head, what state is that? Yantou's question is a point worth paying attention to. But the monk didn't notice: he just responded with where he had been, South of the Range. Regrettably this monk didn't wake up right away. Yantou tries to help him again. Here there is no idling away the time. Yantou is so compassionate that he helps the man kindly over and over again. "Had I told him the last word, he wouldn't have deadpanned like this." But does Xuefeng really not know? Although both Xuefeng and Yantou were spiritual successors of Deshan, Yantou doesn't deadpan, he says. Not like it at all. Not like what? Not like Buddha? Not like an ordinary mortal? Not like a cat or a rat? It's something like nothing whatsoever, whether human or divine or animal, green or red. To judge by their actions and the way Xuefeng received them, these monks could not have been entirely immature. Probably they had studied under Xuefeng earlier and achieved some degree of attainment. Such an action is part of a teacher's individual method, and such methods vary in a thousand ways. (Therefore, Yantou will say "He does not die in the same way that I do.") Xuefeng was delighted to see the well-known faces of the two monks coming to see him. He expected good news from them, judging by their vigorous, self-confident attitude. So he cheerfully came out to the garden gate to meet them. His expectations were high, but he was disappointed. Their answer was not so bad. Had they not been trained in Zen mondo they could not have made such a quick reply. But that was a different thing from their showing true realization. If their experience had been genuine, whatever they may have said and however they may have acted, their words and actions would have been full of power. But their words were only conventional, and Xuefeng was not satisfied. "The last word" cannot be taught, and one should not attempt to do so. But Xuefeng expected something from Yantou, whose phrase this was. In saying this, Yantou does not really mean that Xuefeng does not understand the last word; he is drawing the monks' attention to the last word. The way to enlightenment is the same for everybody. After attaining enlightenment, various ways of conducting oneself are open. Who could have predicted Xuefeng's pushing open the gate and presenting himself suddenly before the monks? Why did Yantou use the peculiar word "die"? Does he mean egoless activity? Study it for yourself. This was being like a talkative old woman, which is deplored in Zen. But a true Zen master knows when to be talkative and when not. "This!" Yantou's tongue will fall to the ground! Nevertheless, his words may provide a first foothold for the student who wants to climb the cliff. If you’re really saying “what’s this” from the bottom of your guts, that’s great. But mere imitation won’t do. Xuefeng hung his head and retired back into his hut -- a bit like Deshan returning to his cottage in GG13. What was Xuefeng thinking at that moment? He might have been muttering something to himself at the time, but what was it? This is one of the checking points in the dokusan room. This is Yantou's way of summoning up a spirit of doubting inquiry in the monk. "What could this last word be?" we can hear the monk saying to himself. However, the "last word" has neither form nor color. If we can concentrate the whole of our spirit on that which has neither color nor form, we will eventually realize it. As I tell you often in dokusan, if you concentrate on something that has form, it will never lead to realization. Yantou says what he does to make the monk concentrate on the formless colorless "last word." They were both disciples of Deshan and ate from the same pot, so to speak. Nevertheless, they will not die on the same stem. Yasutani Roshi sees this statement as meaning that their way of teaching was different, and that’s certainly all right. In my opinion, however, he is also saying that their ultimate state of consciousness is different. Even though they might have practiced under the same master, there are differences in depth of understanding. body completely fall away when you realize that you and your total existence are totally empty. You will never discover the one that hears, no matter how you search. But nevertheless you can hear. When you clearly capture the one that hears, that experience is known as body and mind fallen away. And this is absolutely necessary if there is going to be any real Zen. The “last word” is the same as Mu and, in that sense, it’s not easy! As long as there is some idea in your head, it is still not “just this.” Actually there is just this eating, just this standing, just this sitting. When I speak about these matters like this, there are some students who express concern that I am giving all the answers in my teisho. But actually it doesn’t seem to be that much of a problem. If you truly understand “just this,” you also understand the last word. Then you “break the toughest barrier.” In other words, you experience true peace of mind for the first time. So, what's this? In our lives, we all have this kind of knee-jerk reaction to things. How often do you ask yourself, "what's this?" Born of the same branch could mean that they practiced together at Deshan's, but they each led their life differently, taught differently, had different ways of expressing their realization That is a lame explanation. What is the living branch? In this case it's important to notice that the monk spent a whole summer training period with Yantou, ninety days, before asking for guidance about the incident he had related. What's that about? He was holding onto his own ideas, opinions, and judgments and was afraid to really expose himself. Your understanding is not complete unless you have the experiential understanding to go along with the intrinsic understanding. They have to come together. A testing questions for this koan is, "What's the difference between the first word and the last word of Zen?" Intrinsically, of course, the first word is perfect and complete, and the last word is perfect and complete. So, what's the difference? Is your first word of Zen the same as your last word of Zen? Is your first sesshin the same as your last sesshin? Surely your first day of zazen isn't the same as your last day of zazen. 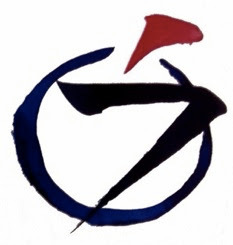 Only when there's no difference between the intrinsic reality and the experiential reality can you say that you understand the last word of Zen. I say, "What's this!" Whatever's arising: What's this! When something's perceived: What's this! Projections, opinions, beliefs, images: What's this! My first word of Zen was "Not two." Yantou's last word is "Just this." Right now, my last word is "What's this!" Next week I'll have a new last word! Experientially the first word might not be the same as the last word. What are your words? It came before all others. If you look at it now you'll go blind. Head with no tail, tail with no head. No path between this one and that. You're headed southeast, I will go northwest. In the depths of the night, both trapped at the ice, on the thousand crags. The last word is meant for you. After all, what did the old hermit monk say to the two wanderers? And did he bow his head — or shake it? Retrospectively, ‘What is it?’ is ‘What was it? What more can we make of ‘just this’? than the closing of the day. in the last of the light. the gate thrust open, our dusty sandals.